Concha y Toro Marques de Casa Concha Syrah is a popular Chilean Red Wine available from Tesco Groceries in 75cl to buy online. Visit Tesco Groceries for the best price for 75cl of Concha y Toro Marques de Casa Concha Syrah or compare prices on our other Chilean Red Wine products. Very agreeable with vivacious whiff of blackberry and black cherries. The wine has a solid structure with fine grained tannins supporting radiant fruit. Using a selection of oak barrels from some of the best cooperages in France allows Marcelo to achieve an exquisite and serene rage of wines, which in time, mellow wonderfully. 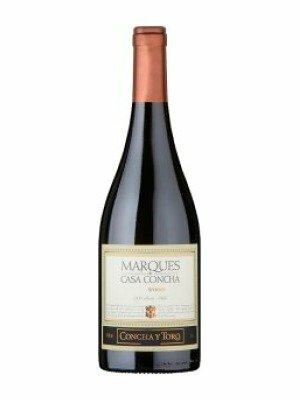 Where to buy Concha y Toro Marques de Casa Concha Syrah ? Concha y Toro Marques de Casa Concha Syrah Supermarkets & Stockists. You can buy Concha y Toro Marques de Casa Concha Syrah online in most retailers and find it in the Chilean Red Wine aisle in supermarkets but we found the best deals online for Concha y Toro Marques de Casa Concha Syrah in Tesco Groceries, Tesco Wine, and others. Compare the current price of Concha y Toro Marques de Casa Concha Syrah in 75cl size in the table of offers below. Simply click on the button to order Concha y Toro Marques de Casa Concha Syrah online now.